The Playroom Makeover-Gallery Wall and Other Changes - Oak House Design Co. 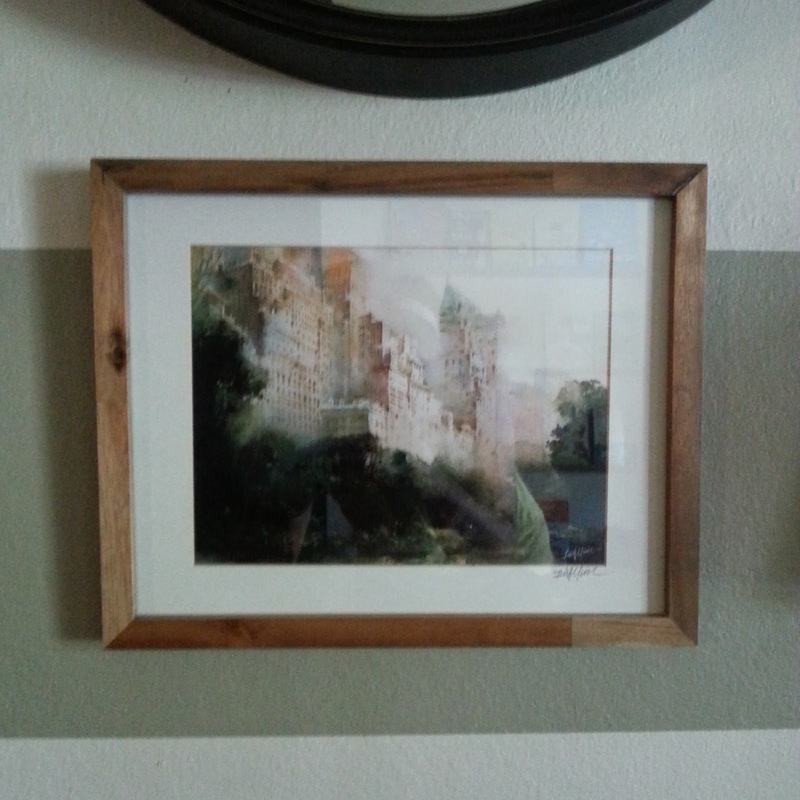 So, I have had these picture frames leaning against the wall of my guest room for...years. I have been collecting prints over time, and well, sometimes you have to stop waiting for things to be just so and just do it, right? So I finally took down these two seafans that I had hanging in the playroom from when it was the living room. 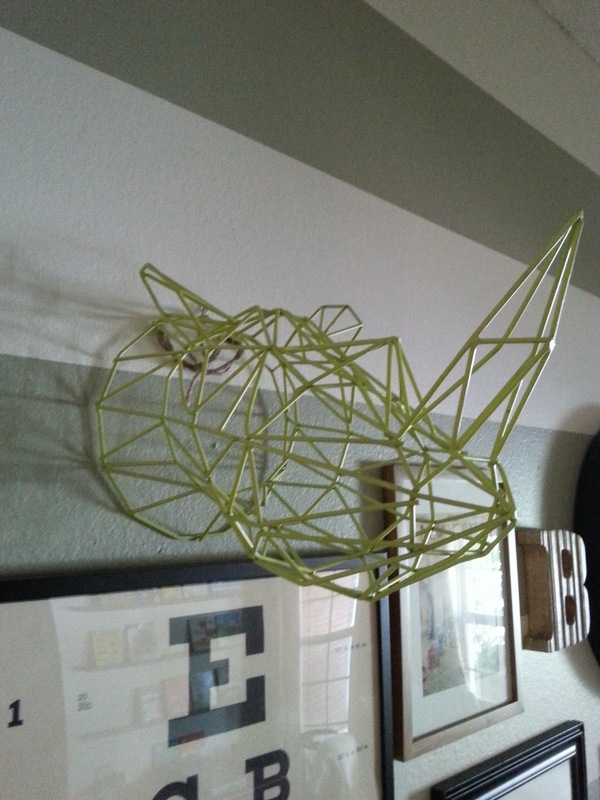 They were my first DIY artwork andI still love them, but I always felt they were too serious for the new space. They have been replaced with a collection of prints and objects that I have collected over the years. 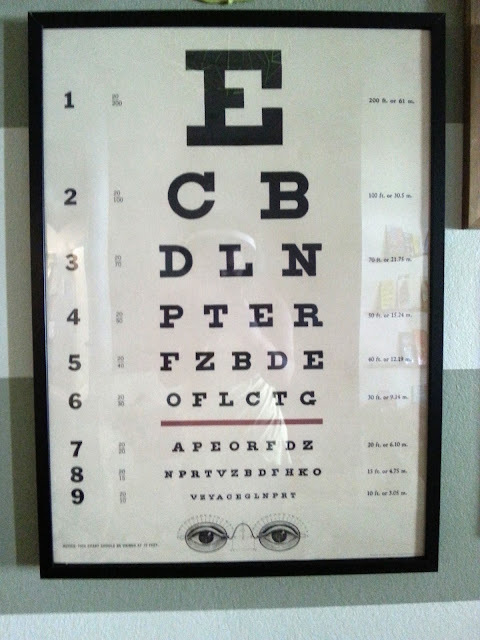 The large eye-chart is a wrapping paper print from Paper Source. Even with shipping it's only about $12. They also have stores that have a pretty good selection. 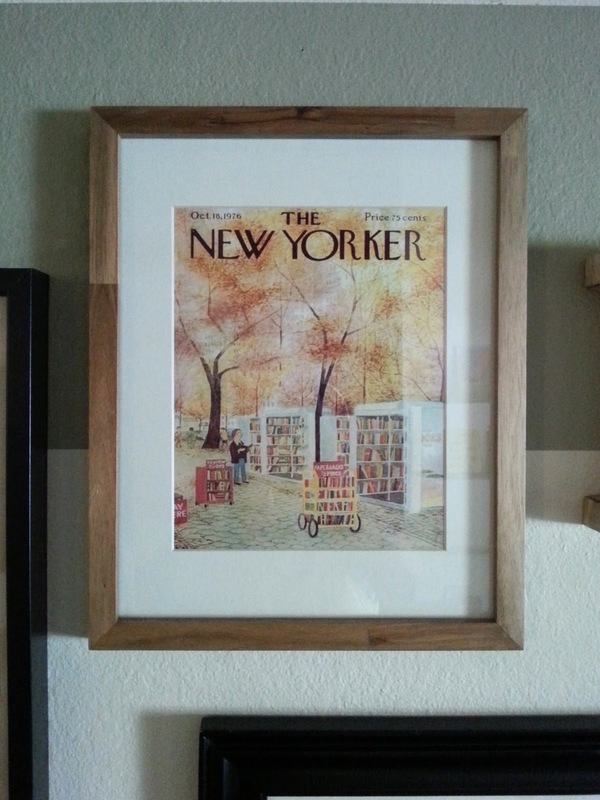 And it fit perfectly inside a Ribba frame from IKEA. The smaller prints are from separate trips with family to New York. I picked up The New Yorker print when my family and I visited New York for spring break. And the second print is a view from Central Park. It's from a trip my two sisters and I took together 12 years ago. I love having souvenirs like these to remind me of good times. And my beloved little rhino, I found at Ross! He may get a coat of spray paint soon. So, it's kind of funny, because the playroom has kind of evolved into a reading room, but it's a cozy spot to do that! We're entering week 7 of the school year down here in the south, and I'm already over the early mornings. But the school year is going well and the Bub is doing good, so that makes me a happy mama! Linking up to Home Stories A to Z Tutorials and Tips, The Craftberry Bush-The Inspiration Gallery, Crafts a la Mode-What to do Weekends, Home Stories A to Z Tutorials and Tips Link Party, and Cherished Bliss-Moonlight and Mason Jars Link Party. Looks great. I like the change! Thank-you! I feel like I have been s-l-o-w-l-y making changes, but it's good! Thank-you, Linda! And thanks for stopping by!